This is a combo report involving a trip to Petit Jean State Park, Mt Magazine and LakeSylvia on three different occasions. Took a little 5 mile hike up around Lake Sylvia Sunday just to get out and enjoy the heat. Temp was in upper 90's at mid-day and the highs got above 100 according to local weather dudes. 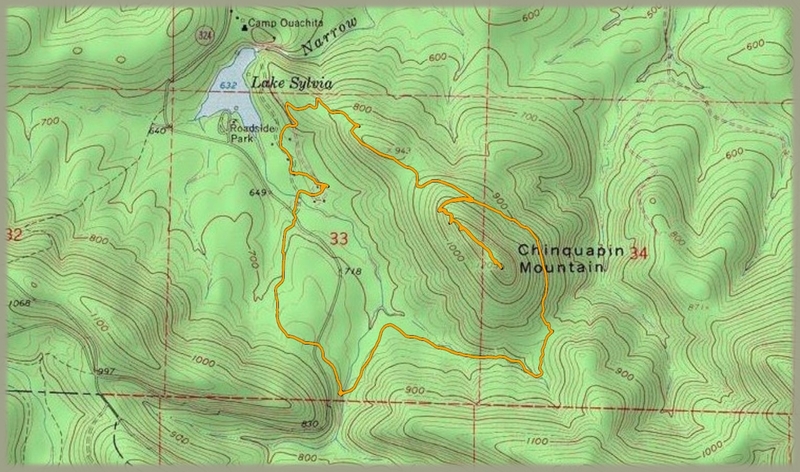 I parked at Lake Sylvia Campground and headed up the trail to the top of Chinquapin Mountain, then looped back to the Ouachita Trail and back to Lake Sylvia. I had not hiked this area in 20 years or more and it felt good to back on these trails. 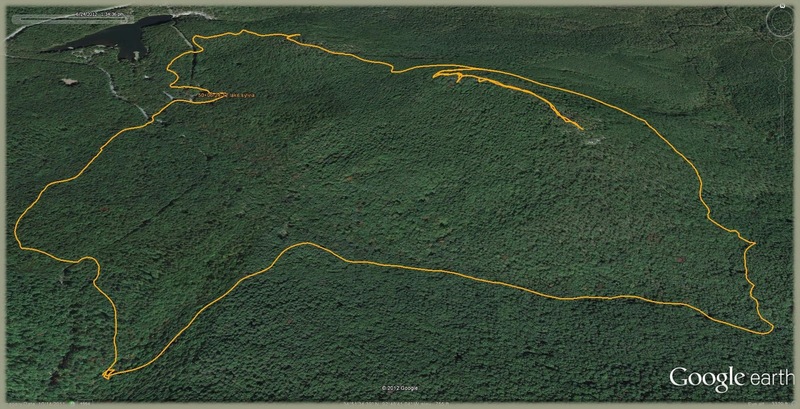 The forest has really matured since 1980 when I 1st explored this far eastern portion of the Ouachita National Forest. There is a good view to the west from the rocky top of Chinquapin Mountain. Hardly any evidence of civilization is visible from there. I love the smell of the mixed hardwoods and pines found in the Ouachitas on a hot day...it just can't be beat...the Ozarks just don't smell the same to me. Heat is required to bring out this fine aroma...so this day was perfect. I was amazed to not find any ticks on me at all after and during this hike. If you have never visited Lake Sylvia you should check it out. The lake has a great swimming area full of local rednecks. The campground it not bad either...and the surrounding woods are pretty fine. The Forest Service has done a good job of leaving the forest in this area alone and free from logging. This is probably one of my favorite spots in Arkansas because it is close to Little Rock and has all the features mentioned above.